Lioness Charlayne shared a wonderful Year of the Ram/sheep mural thank you gift from a school Chinatown Tour. The tours are one of the clubs ongoing fundraisers and are open to all interested groups. Lioness Ellen saw through the completion of the Lioness Sarah memorial paver on the Esquilmalt Centennial Memorial Walkway . Lioness Amanda organized, and Lioness Charlyane and Brenda joined in, to represented the Victoria Lioness Club in the Hike for Hospice. Thank you all for donations totaling $845. 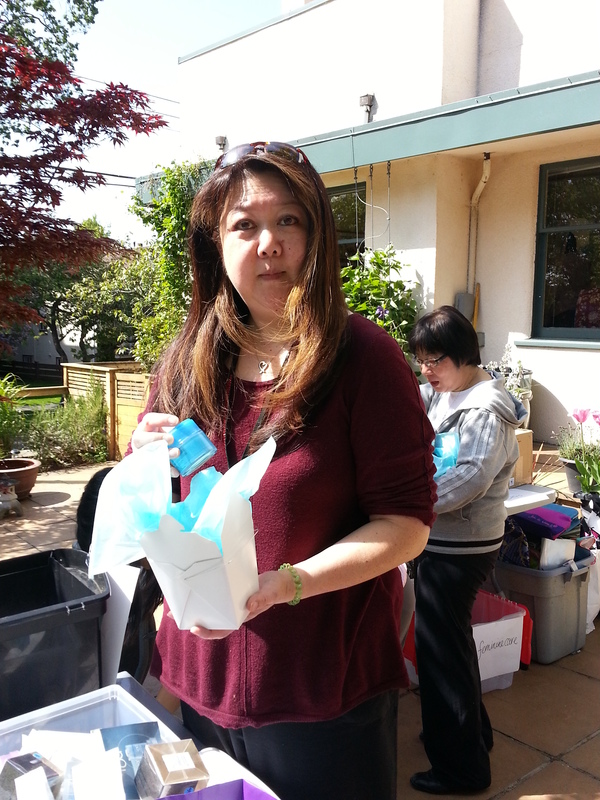 Lioness Michelle orchestrated the annual Mother’s Day gift boxes for the Single Parent Resource Center and the Victoria Woman’s Transition House. Generous donations helped us prepare and deliver over 230 boxes this year. We extend special thank you to Lioness Amanda’s dentist who donated toothbrushes and toothpaste for each box, plus a many more to give to Our Place. Thank you Dr Tyler Crowe of Dr. Tyler Crowe & Dr. Duncan Kemp Cosmetic, Implant and Family Dentistry in Oak Bay. 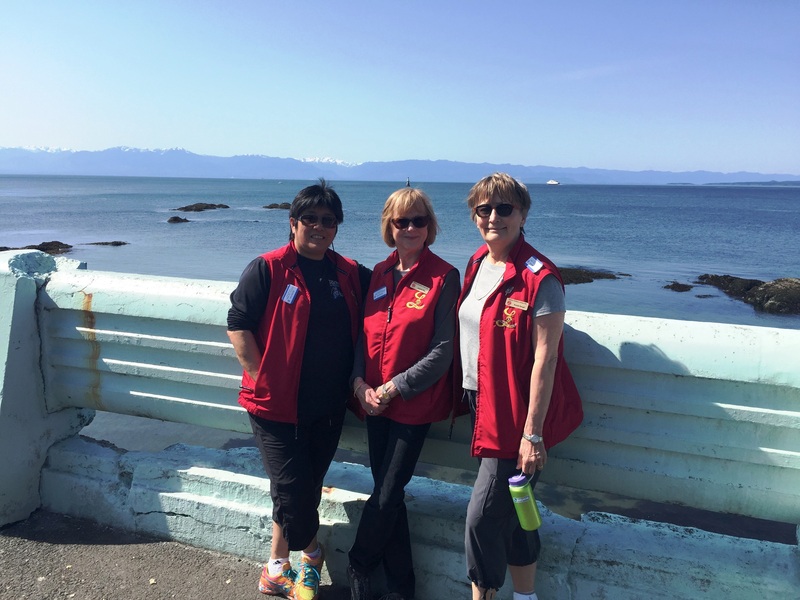 Lioness Ellen is organizing the annual Victoria Chinatown Lioness participation in the Victoria Day Parade May 18 . We hope to see you there! “We started to participate in the parade about 20 years ago. At the beginning, we only had few people, one time, I marched with Lioness Penny only, on behalf of Lioness. After that, we joined CCBA and walk under the Chinese community team. This year we are joining the Zone 19 Lion and Lioness. 1/ The parade is a great way to get out and let the public see us and to build community spirit . 2/ The weather has always been always gorgeous and it is fun for our club to get together to do some fun things, we see different beautiful floats and wonderful marching bands all over the venue . 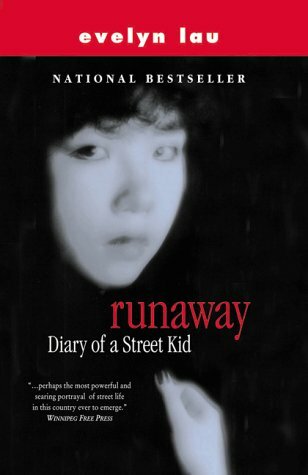 Saturday May 30 at Golden City Restaurant , The Victoria Chinatown Lioness will host Vancouver author Evelyn Lau as part if our fundraising and cultural outreach to the Victoria community. Tables are selling fast . Please do not delay to contact a Lioness for seats. This entry was posted in AUTHOR TALK, COMMUNITY SERVICE, Fun and Socializng, MOTHER"S DAY EVENT and tagged Author Talk, banquet, Chinatown Tours, Chinese heritage, community support, cultural activities, Esquimalt Centennial Memorial Walkway, Evelyn Lau, Golden City, Hike for Hospice, Island Farms Victoria Day Parade, Lions Club, memorial paver, Mother's Day, Our Place, Runaway: The Diary of a Street Kid, Single Parent Resource Center, toiletries, Victoria Chinatown Lioness Club, Victoria Women's Transition House, Year of the Ram. Bookmark the permalink.